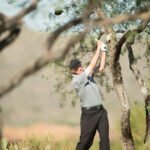 The 29th Senior PGA Professional Championship presented by Mercedes-Benz takes place September 28 – October 1 at Desert Mountain in Scottsdale, AZ. 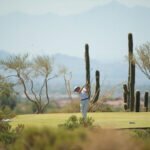 Representing the Pacific NW Section PGA are: Steve Stull, Tom Sovay of The GC at Redmond Ridge, Rob Gibbons of Arrowhead GC, Brent Murray of Oswego Lake CC, George Mack Jr of Black Butte Ranch and Joe Carranza of Aldarra GC and Jeff Coston of Semiahmoo G&CC. 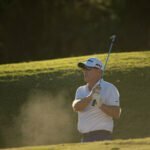 264 PGA Club Professionals are vying for the Leo Fraser Trophy and 35 spots in the 2018 KitchenAid Senior PGA Championship, to be played in May at Harbor Shores in Benton Harbor, Michigan.